If you are looking to learn more about the options market and about trading binary options, this article will explain everything you need to know. By the end of this article, you will know exactly how a binary option works and how it can help you in your investment endeavors. 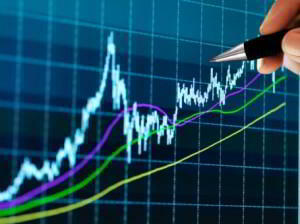 A binary option is a contract that between you and your broker that gives to an option to buy or sell a particular instrument (like stock, commodity, forex, etc.) at a predetermined price and date (or time). You can buy a binary option at a small price compared to the price of the instrument you are interested in. Later, if the price moves in favor of your trade, you can exercise the option and make a profit. Alternatively, if the price moves against your expectations, all you lose is just the premium paid to buy the option. Binary options are also commonly known as digital options and „all or nothing” options. As opposed to American style options which can be exercised at any time after the purchase (should the price move in favor of your trade), Binary options are usually European style options which can only be exercised on the predetermined maturity date. There are two types of binary options that you can buy in the options market depending on the direction you think your instrument of choice will take. These are call options and put options. If you expect the price of an instrument to increase by the maturity time of the option, you buy a call option. This is akin to going long in regular trading terminology. If you expect the price of an instrument to fall by the time the option matures, you buy a put option. This is similar to going short in the usual stock or forex trading terminology. Let’s assume that we are trading the EUR/USD forex instrument which is currently trading at 1.3230. If we think that by the time the option matures this price will go above 1.3300, we will buy a call option. Every point (known as pip) is equivalent to $10. So in the case, the potential profit will be for 70 points i.e. $700 ($10 x 70). You will have to pay the option price while buying the option which can vary depending on the market conditions. For this example, let’s assume that the cost of the option is $50. By the time this call option matures, if the market has indeed moved beyond 1.3300, you will gain $700 and your net profit will be $650 (700 – 50). On the other hand, if the price of the EUR/USD instrument stays below 1.3300, you will lose the money you spent on buying the option ($50). One big advantage with a binary option is that you don’t have to know the magnitude of the change in price to make a profit. All you need to be reasonably certain of is the direction in which it is likely to move. Unlike regular trading where your profit and loss depend on the magnitude of price change, the profit and loss in binary option trading just depends on the direction of the price change beyond a certain threshold. Regardless of whether the price crosses the threshold by a single point or by hundreds of points, you will make a fixed profit. A binary option is a great option for businesses which are exposed to fluctuations in the currency market. Exporters and Importers can use Options to hedge against an unfavorable movement of the currency which is of interest to them. While trading in the options market, you know exactly how much you stand to gain or lose before entering the trade. This allows you to plan and manage your portfolio much more efficiently. In regular trading, if the price of an instrument goes against your expectations, it can result in massive losses. As opposed to this, the maximum loss you will incur with a binary option is the price you paid to buy the option and nothing over that. While trading in the options market, you only have to use a small amount to buy a binary option for a particular instrument compared to buying that instrument as in regular trading. This gives you greater liquidity to spread your trades over multiple instruments and better manage your risks.